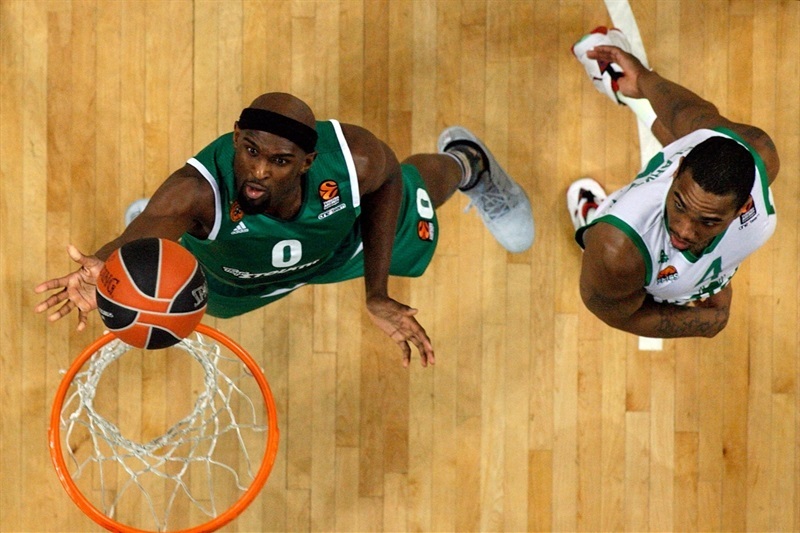 In a thriller that went down to the final second, Panathinaikos Superfoods Athens grabbed its third consecutive win by downing Unics Kazan 83-82 in the Greek capital on Friday. Panathinaikos improved to 14-9 in the standings and recorded its seventh straight home win, while Unics dropped to 7-16 after losing its last six games. Mike James hit the game-winning three-point shot with 0.9 seconds remaining. 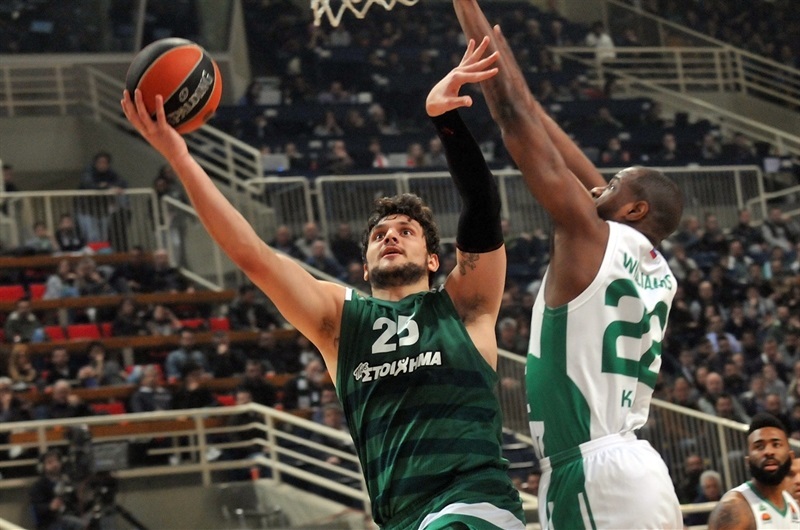 Ioannis Bourousis led the winners with 15 points. Chris Singleton added 14, K.C. 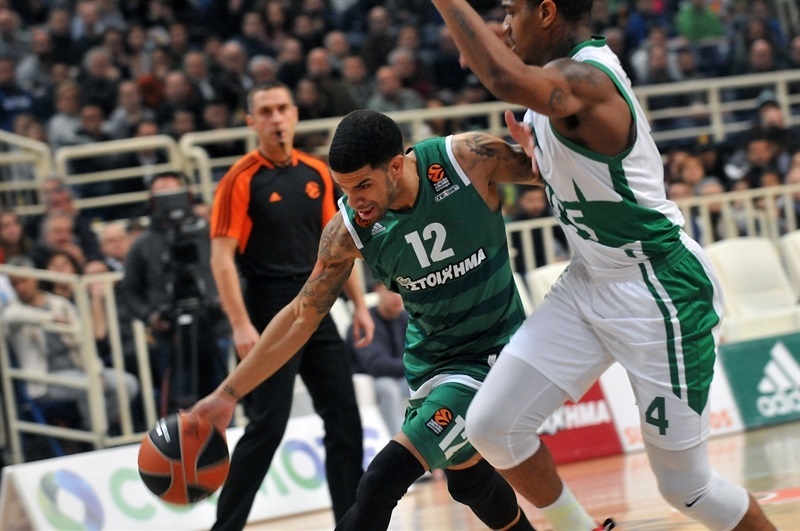 Rivers had 13 and Kenny Gabriel and Alessandro Gentile each scored 10 for Panathinaikos. 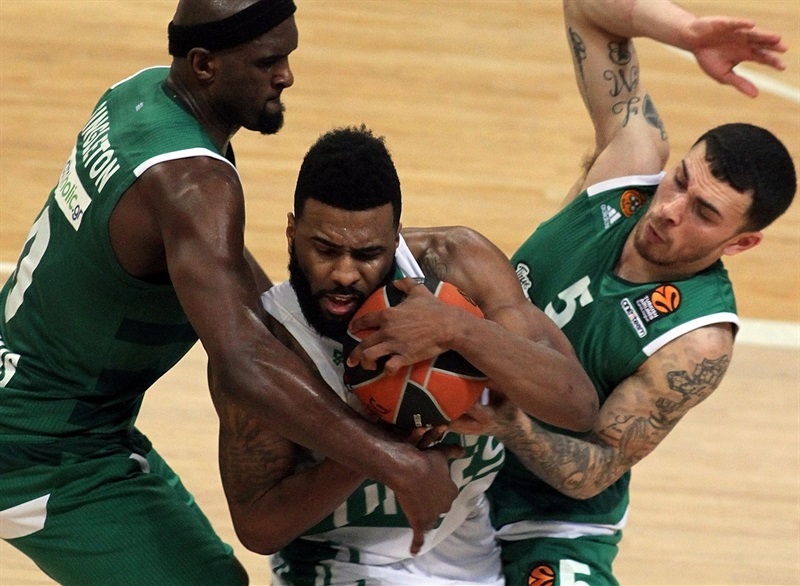 Keith Langford led Unics with 21 points and 7 assists. Quino Colom added 17, Latavious Williams had 13 while Pavel Antipov got 11 for the guests. Langford dominated early, but the Panathinaikos defense stalled him as he did not record a single assist in the second half nor a point in the fourth quarter. Langford got Unics going with a jumper and Colom struck from downtown for a 2-5 lead. James Feldeine swished a step-back jumper, Gentile added consecutive layups and a three-pointer by Gabriel gave Panathinaikos an 11-7 lead. Colom kept pushing Unics with a baseline jumper, Coty Clarke struck from downtown and a dunk by Williams restored a 15-16 Unics edge. Gentile and James stepped up for Panathinaikos, but an unstoppable Langford kept Unics in charge, 24-25, after 10 minutes. Antipov followed an up-and-under layup with a corner triple for a 26-30 lead early in the second quarter. 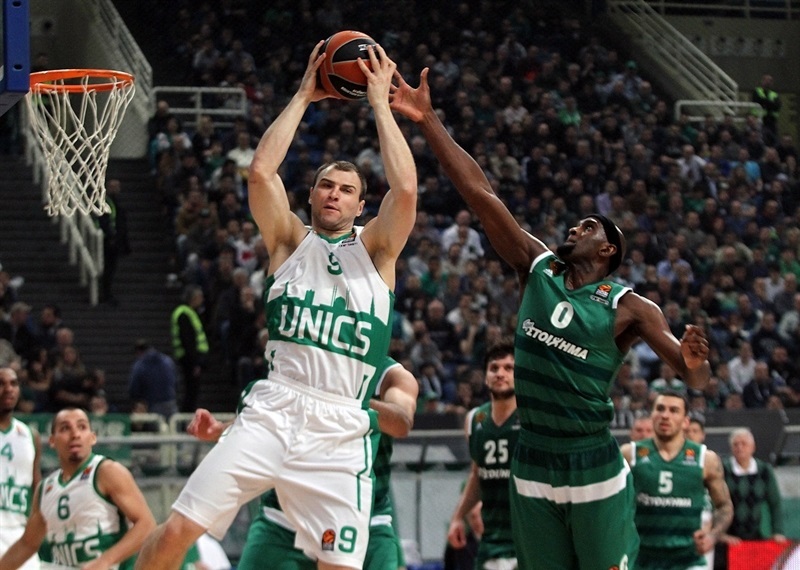 Art Parakhouski stepped up for Unics and a floater by Danilo Andjusic made it a 7-point game. Bourousis and Nikos Pappas tried to change things for Panathinaikos, but free throws by Langford, Clarke and Colom kept Unics in charge, 39-46, at halftime. 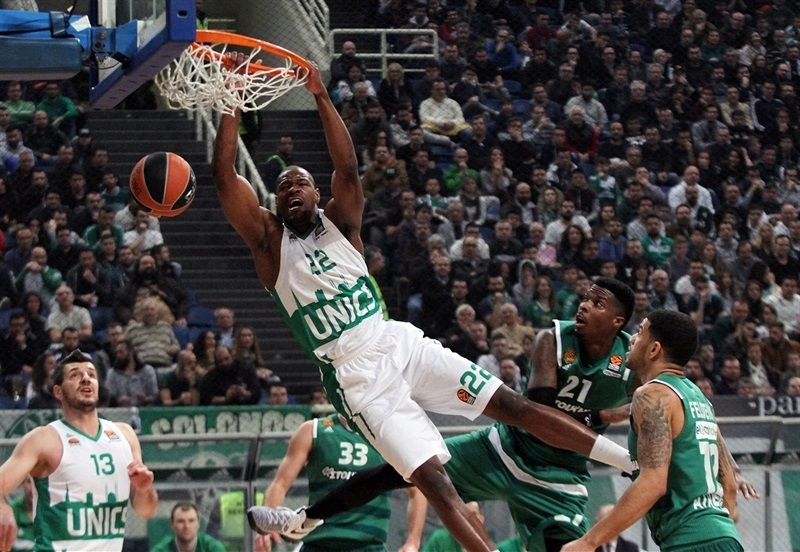 Langford kept pushing Unics after the break, but he didn't find much help around. 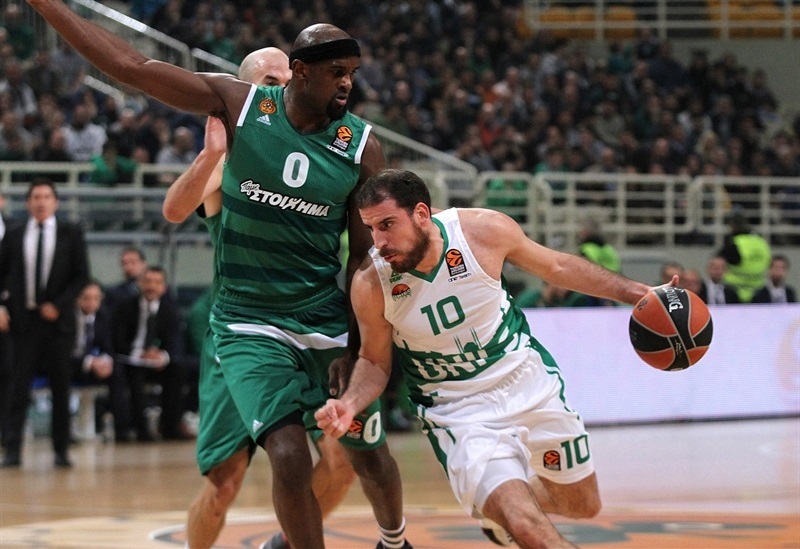 Meanwhile, Nick Calathes and Singleton brought Panathinaikos within 46-49. 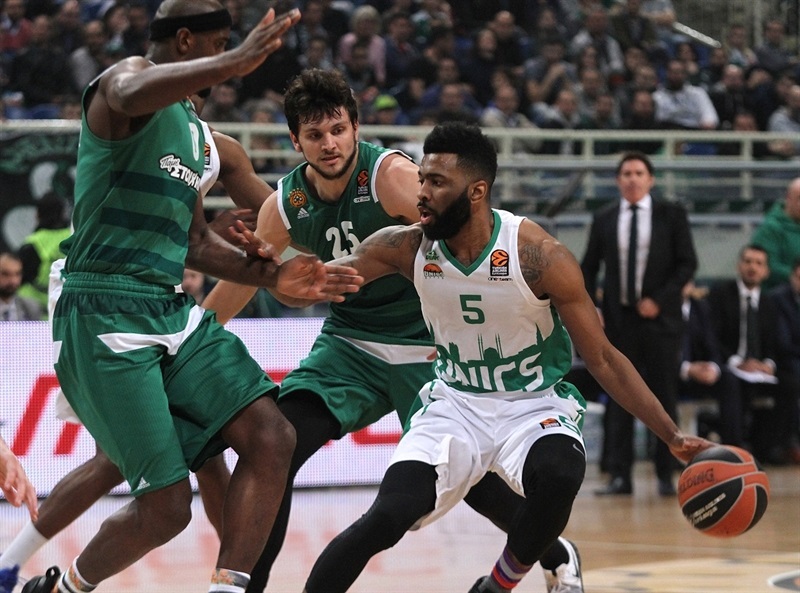 Langford and Parakhouski rescued Unics, but three-pointers by Gabriel and Rivers brought the hosts within 52-56. Antipov answered from downtown and Langford beat the buzzer with a driving layup for a 52-61 lead after 30 minutes. A free throw by Langford made it a double-digit game, 52-62, early in the fourth quarter. Bourousis, Singleton and Rivers each hit a triple in a 13-3 run that tied the game, 65-65, with less than six minutes left. Colom struck twice from beyond the arc, but a big basket by Bourousis kept the hosts within 69-73 with three minutes to go. 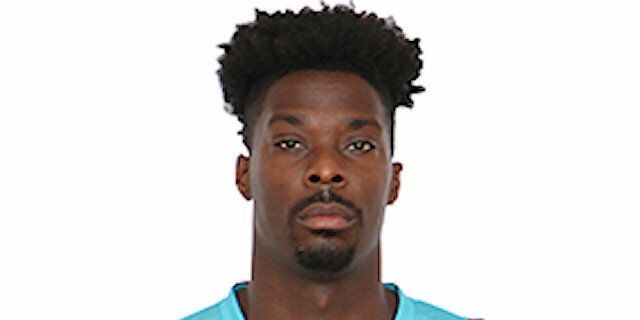 A layup by Williams and a three-pointer by Andjusic seemed to seal the outcome at 73-79, but Rivers and Singleton brought Panathinaikos as close as 79-80 with 49.8 seconds left. Langford missed a driving shot, but he fouled on Singleton with 15.8 seconds left. 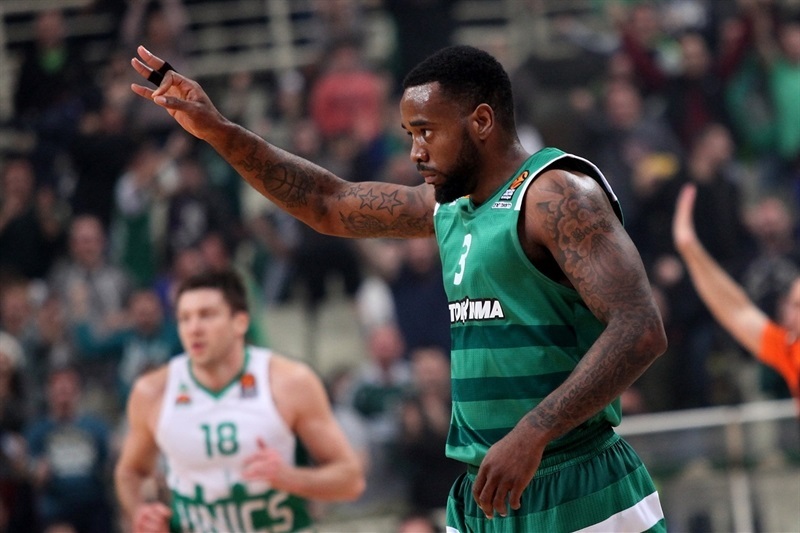 Singleton split attempts to tie the game and Panathinaikos sent Williams to the foul line with 7.8 seconds to go. Williams hit both attempts, but James raced downcourt faked and drilled the game-winning three-point shot with 0.9 seconds remaining. "It was a difficult game for us. 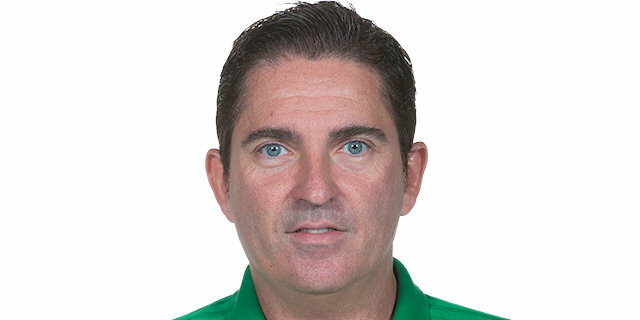 We knew before the game that all the teams in Europe, when they win a trophy, the cup, like us, have tremendous problems to win the next game in the EuroLeague. Yesterday Milan, today Brose Baskets. Okay, Maccabi played in Russia, but always all the teams after important trophies have incredible problems to win. And it was like this. We started the game without defense. I think it was the worst game in defense today. Only in the third quarter did we bring better defense, but it was our worst quarter in offense. But we did one good thing all game, we believed we could win. " "It was a very tough game. We were coming here ready to face such big pressure like happened. Our plan was to control the game offensively, to play more position let’s say, and defensively to not let their shooters have open shots, try to contest as much as possible James, Feldeine, Rivers, Calathes, all the perimeter because it’s a really dangerous perimeter, plus Gabriel and Singleton. We were able to do this for three quarters; second and third quarters we received 15 and 13 points defensively. And last one, we allowed 31 points and three times Singleton was wide open. We made mistakes defensively, we had leads of 3, 4 points and Singleton brought them back. With all respect, he scored his shots, but he was wide open and it was our mistake. I think today we played much better than before, we had bad situation inside the team, some injuries. Today guys fought until the end. With respect, [James] scored a tough shot, last-second shot and that was the game. " "It was a tough game today. Our defense was a little short in the first half, but in the second half we came out with better intensity and played a lot better. "